Campeggio Ruta de la Plata si trova a Villares de la Reina, Salamanca. Il campeggio con terreno collinare dispone di piazzole delimitate, sia ombreggiate che e piazzole poco ombreggiate. Ogni anno un ispettore visita il Campeggio Ruta de la Plata, controllando oltre 200 tra attrezzature e altri punti di interesse del campeggio. L'ispettore è un dipendente ACSI e non lavora per il campeggio. It is a very small, but concise camping.The pool was clean, but the water was very cold. The receptionist was very kind. Delightful site about 5k outside of Slamanca, so perfect for visiting the beautiful city by bus (which regularly passes the site) or car. The lady in reception is extremely friendly and informative and the site is tidy and clean. All the facilities are old but very clean and work. Most pitches are shaded and of various sizes so getting a camper van in was no problem. would definitely recommend this site and we will return as it's also well placed for a stop over, as it's just off the A66. The staff here were so helpful. When we visited they had just experienced torrential rainfall and they went out of their way to ensure that our motorhome did not become bogged down. Everyone arriving was placed carefully on stony pitches. Ideally placed for a visit to Salamanca, the bus stopped just outside the site. 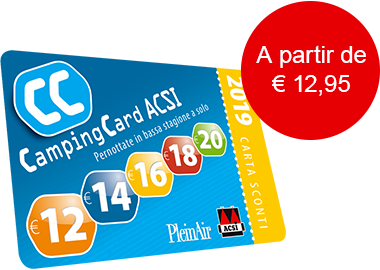 ACSI Eurocampings invia la tua richiesta di informazioni al "Campeggio Ruta de la Plata".